Mr. Awerkamp chaired the State Bar of Arizona Labor and Employment Law Section in 1995-1996. He is a member of the National Employment Lawyers Association. He served for many years on the Court Rules Committee for Pima County. He served for eleven years on the National Board of Directors of the American Lung Association and has chaired the Board of the American Lung Association of the Southwest. He has also served on the Boards of the Community Outreach Program for the Deaf and the Arizona Center for Disability Law. Before receiving his J.D. 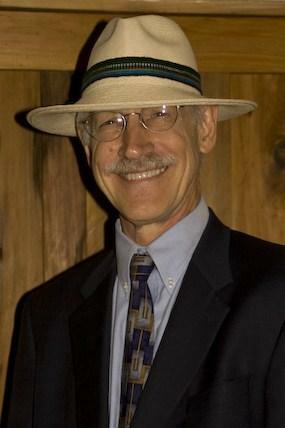 degree from the University of Arizona and becoming an attorney in 1982, Mr. Awerkamp received a M.A. degree from Duquesne University in 1969 and a Ph.D. degree from De Paul University in 1974 and taught philosophy. He has frequently given presentations on employment law issues for the State Bar of Arizona, the University of Arizona College of Law, and various other organizations. He is also one of the authors for the Arizona Employment Law Handbook. He has served as an expert witness on employment law issues in litigation and has provided expert testimony before the Arizona Legislature on employee whistle blowing. For more than a dozen years Mr. Awerkamp has been rated A-V by Martindale-Hubbell, its highest rating as provided by fellow lawyers. 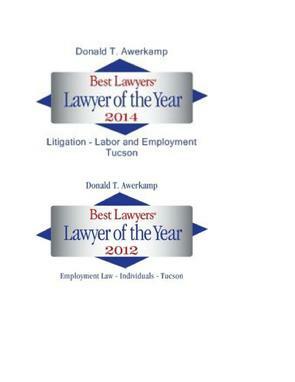 Mr. Awerkamp is also listed in Best Lawyers in America for employment lawyers and has been selected its 2012 Tucson Employment Law - Individuals Lawyer of the Year and its 2014 and 2016 Tucson Litigation - Labor and Employment Lawyer of the year. Since Tucson Lifestyle Magazine began listing Tucson's Top Lawyers Mr. Awerkamp has been listed for Labor and Employment Law and he is the only attorney it has listed for Civil Rights Law. 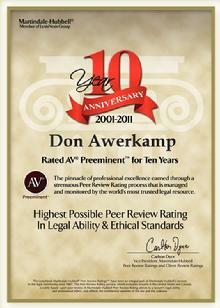 Since 2007 Mr. Awerkamp has also been listed by Southwest Super Lawyers for Employment and Labor Law.